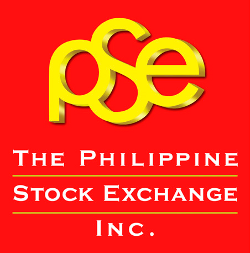 The Philippine Stock Exchange (PSE) Inc. said it will raise an initial syndicated loan of Php1.15 billion from a number of local lenders to finance its proposed Php2.25-billion acquisition of the Philippine Dealing System Holdings Corp. (PDS). The PSE, which operates the country’s equities market, will raise the funds on a staggered basis as and when the need arises. The loan is payable over five years and its cost based on the prevailing rate of five-year bonds at the secondary market, the PSE said. The acquisition will lead to an eventual merger of the trading platforms for bond and equities. The Bankers Association of the Philippines (BAP), which previously owned 28.9 percent, already agreed to sell its shareholdings. The PSE in November secured the deal to acquire San Miguel Corp. (SMC) and Golden Astra’s respective shares. Aside from the BAP, the other PDS shareholders include the Singapore Exchange Ltd., with 20 percent; Tata Consultancy Services Asia, 8 percent; the Philippine American Life and General Insurance Co., 4 percent; SMC, 4 percent; Financial Executive Institute of the Philippines, 3.1 percent; Social Security System, 1.5 percent; Investment House Association of the Philippines 1.1 percent; and Golden Astra Capital 0.4 percent. When the PDS was incorporated in the late 1990s, it was viewed as a trading platform for the capital markets and owned by financial community. Other PDS subsidiaries include the Philippine Depository and Trust Corp., the Philippine Dealing and Exchange Corp., the Philippine Securities Settlement Corp. and the PDS Academy for Market Development Corp..